No need to carry heavy water bottles anymore. Water is the most fascinating of all the elements on our planet. And water preferences can be as individual as taste in design. 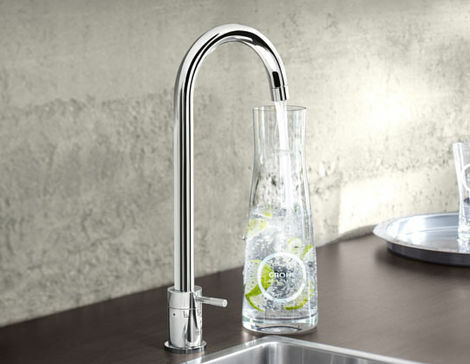 With GROHE Blue, we can cater to your exact tastes. Do you like your water still, lightly sparkling or sparkling? Filtered directly from the fitting in your own kitchen? Your wish is our command. 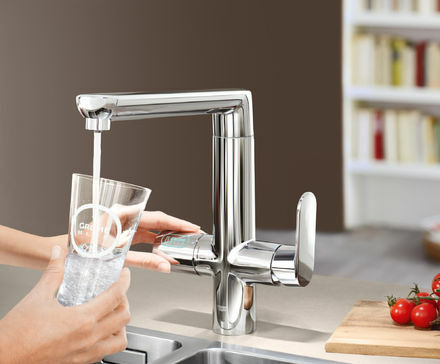 For filtered, chilled and carbonated water, choose GROHE Blue Professional. 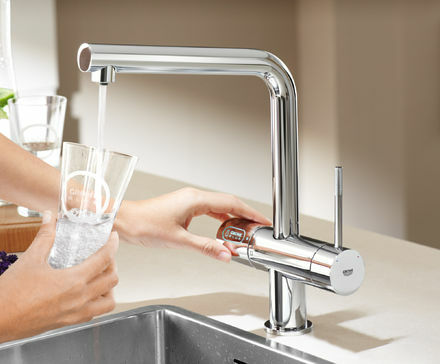 The GROHE Blue Pure filter system is perfect for those who like still, non-chilled water. 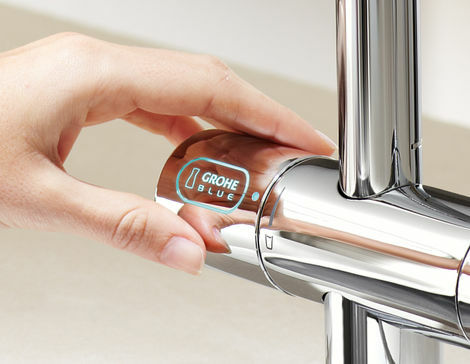 GROHE Blue combines outstanding design and innovative technology. A high-performance filter, cooler and carbonator deliver a pure taste experience – just as easily as using a standard kitchen fitting. But maybe you also want your faucet to express your taste in design? With GROHE Blue technology, you get four outstanding fitting designs. 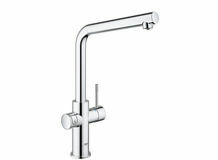 Choose between the classic GROHE Blue with C- or U-shaped spout, the GROHE Blue K7 or the GROHE Blue Minta. 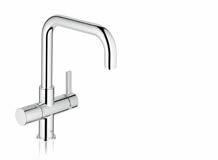 If you do not want to give up your tried-and-tested kitchen fitting but still want to enjoy the benefits of the GROHE Blue, we have another solution for you: the ‘Mono’ version of GROHE Blue. The best thing about this tap? It is designed to make filling containers like the GROHE Blue carafe child’s play – for a refreshing, individual taste experience. combined the expertise of our two companies to deliver a completely new water experience. GROHE Blue filters the water with technology supplied by BWT and then cools it down to the ideal temperature for you to enjoy– 24 hours a day, 7 days a week. The filter lasts up to 12 months, has a capacity of 600 litres and can be adjusted to the hardness of the water. GROHE Blue combines convenience and a healthy lifestyle in one environmentally-conscious package. 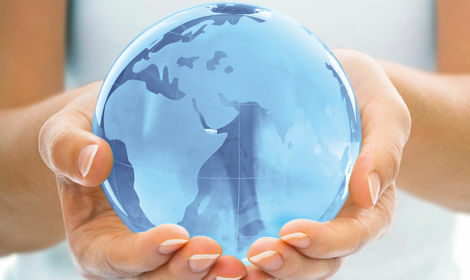 Compared to the pollution and energy consumption caused by filling and transporting bottled mineral water, filtering tap water has a negligible environmental impact. GROHE Blue saves resources and money, since seven litres of water are needed to put just one litre of bottled water on a supermarket shelf. Energy is also saved, as heavy bottles no longer need to be carried home and time and resources spent recycling them.